If you live outside of the greater Edmonton area, call 1.888.482.4696. To access 211 information and referrals online, click here. For a list of all sexual assault centres in Alberta, visit the Association of Alberta Sexual Assault Services website. The Bullying Helpline provides a 24/7 telephone service and online chat that offers resources on bullying for parents, teachers, children, and youth. Call 1.888.456.2323 or click here to access the online chat service (online chat is operational 12p-8pm daily). The Mental Health Help Line provides confidential, 24/7 telephone service for crisis intervention, information about mental health programs and services, referrals to other agencies, and advice about mental health concerns. Call 1.877.303.2642. The Edmonton Distress Line is a confidential supportive listening service that is available 24/7 if you are in distress and want to talk. Distress Line Listeners are equipped to talk about any topic that is causing you distress, including relationship troubles, mental health concerns, financial troubles, abusive/violent situations, and thoughts of suicide. SART is a team of Registered Nurses who have been specially trained in sexual assault care. Anyone 14 years old or older, of any gender, can access the SART nurses by going to any hospital in the Edmonton region and asking to see a SART nurse. These nurses provide compassionate, confidential, and non-judgmental care to anyone who has been sexually assaulted within the last 7 days. For more information call Health Link at 780.408.LINK(5465) or visit their website. The STI Clinic offers free and confidential testing, counselling, and treatment for STIs (Sexually Transmitted Infections), HIV, and BBP (Blood Borne Pathogens). For more information call 780.342.2300 or click here. The Edmonton Community Legal Centre provides free legal information and advice to low to moderate income people in the Edmonton area. ECLC can help with family law, landlord and tenant issues, employment, human rights, debt, small claims, immigration, and income supports. To learn more call 780.702.1725 or click here. Legal Aid Alberta assists Albertans facing legal issues by helping them navigate their journey through the justice system and find lasting resolution to their legal challenges on the topics of family law, child welfare, emergency protection orders, domestic violence, adult criminal law, youth criminal law, immigration and refugee law, civil law, service to the Siksika Nation, and duty counsel (legal assistance at court). To learn more, call 1.866.845.3425 or click here. Kids Help Phone is an anonymous and confidential 24/7 phone counselling, web counselling and referral service for children and youth. Call 1.800.668.6868 or click here to start a live chat with a counsellor (live chat available 4pm-12am Wednesday to Sunday). The Family Violence Info Line is a 24/7 telephone service and online chat service for anyone who is impacted by family violence/abuse or anyone who knows someone is impacted. Call 310.1818 or click here to access the online chat service (available 12pm-8pm daily). The Family Centre provides workshops, therapy, family support services, interpretation, and translation services to foster healthy families in healthy communities. To learn more call 780.423.2831 or click here. Aboriginal Counseling Services of Alberta provides services that honour the mind, body, spirit and emotions of each person that walks through their door. The team works collectively with clients by supporting the client in believing that they are the expert when it comes to their personal journey, and provides programs to achieve this goal. For more information call 780.448.0378 or click here. The First Nations and Inuit Hope for Wellness Help Line is a 24/7 telephone service providing crisis intervention and counselling support for First Nations and Inuit persons. Support is available in Cree, English, French, Inuktitut/Inuvialuktan, and Ojibway. Call 1.855.242.3310. Trans Lifeline is a hotline staffed by transgender people for transgender people and people who are struggling with their gender identity. This line exists to respond to whatever support needs arise. The line runs 18 hours a day every day of the week from 9AM-3AM. Calgary Outlink provides a 24 hour peer support phone line for LGBTQ youth to call for support. This service can be reached Mondays and Thursdays from 6-10PM (MST). To access this support call toll free at 1.877.688.4765. ASSIST Community Services Centre provides diversified services to Canadian immigrants and their families. Services are offered in Arabic, English, German, Gujarati, Hindi, Korean, Mandarin, Kakwa, Punjabi, Russian, Tagalog, and Urdu. To learn more, call 780.429.3111 or click here. The Edmonton Mennonite Centre for Newcomers offers holistic and individualized support to refugees and immigrants who face multiple challenges preventing their settlement. To learn more, call 780.423.9522 or click here. 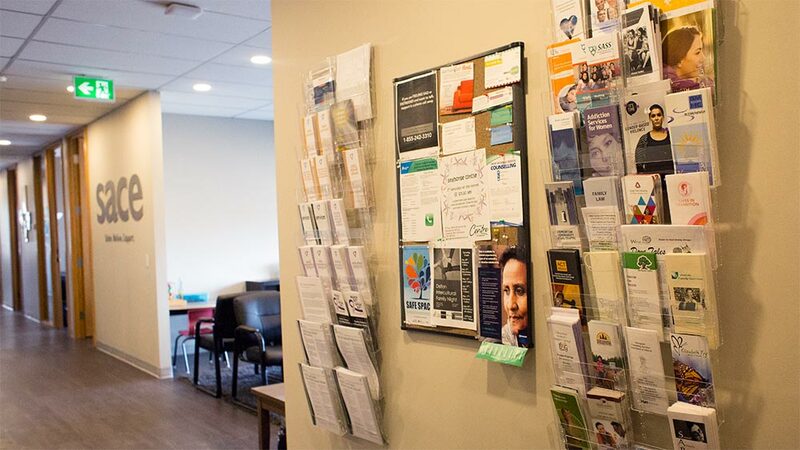 The Multicultural Health Brokers offer medium-term and long-term support for immigrants and refugees by offering services including, but not limited to, Multicultural Support for Children with Disabilities, Peri-natal Health, and Multicultural Seniors Outreach Program. To learn more call 780.423.1973 or click here.